The first was onboard a short plane ride from Verona to Munich on my way home from my recent visit to Soave and Valpolicella. I generally fly to and from Chicago via Munich on Lufthansa and connect for a short flight to Verona or Milan on Air Dolomiti, which is a partner airline of Lufthansa. I've flown on this airline more than a dozen times and have to tell you how happy I am with the experience. Though the flights are generally brief (45 to 60 minutes), your time is well spent, as you are given a beverage and a light snack, which could be anything from biscotti to a light sandwich. And this food is quite good - how many airlines can you say that about? It also doesn't hurt that the flight attendants are quite attractive - yes, I'm always pleased with my flights on Air Dolomiti! They also generally have an excellent wine selection; this is not the drab white or red offering found in economy on so many airlines, but instead they offer wines from first rate Italian producers. On this most recent flight from Verona (the airline's hub), I saw that one of the three featured wines was the DUBL Falanghina, a sparkling wine made by Feudi di San Gregorio in Campania (this is a joint venture with the Champagne house of Selosse). Although I make it a rule not to drink any alcohol on flights as it tends to dehydrate me (besides, I'd had plenty of wine over the previous 12 days of my trip), I ordered a glass. The wine has a lovely delicate entry on the palate, excellent persistence and beautiful acidity - it's a lovely sparkling wine and this was a great way to begin the long voyage home. By the way, the other two wines offered on the flight were the St. Michael-Eppan Gewurztraminer from Alto Adige and the La Braccesca Vino Nobile di Montepulciano from Antinori. When's the last time you saw wines like that offered at no charge in economy? Bravo, Air Dolomiti - you've got my business! During my trip in the Valpolicella district, I visited a dozen producers and tasted many of their offerings, from the basic Valpolicella to their powerful Amarone as well as their beautiful Recioto. One morning with an extra half-hour before my first appointment, I sampled about a dozen other examples of Amarone at the offices of the Valpolicella Consorzio, thanks to the kindness of director Olga Bussinello. As I selected a few wines I was interested in tasting, her assistants asked me if I would be interested in tasting wines from some new producers. I told them yes; one of those wines turned out to be from Massimago, a small estate located in the eastern part of Valpolicella in the commune of Mezzane di Sotto. I tasted the newly released 2007 Amarone, which I loved for its varietal purity, delicious fruit, round tannins and overall balance. It was the finest of the dozen wines I tried that morning and thought at that moment that this would be a producer to keep an eye on. Based solely on her 2007 Amarone, I can't wait to try her other wines and then visit her estate to see what this dynamic young woman has in store for lovers of Amarone and other wines from this area! 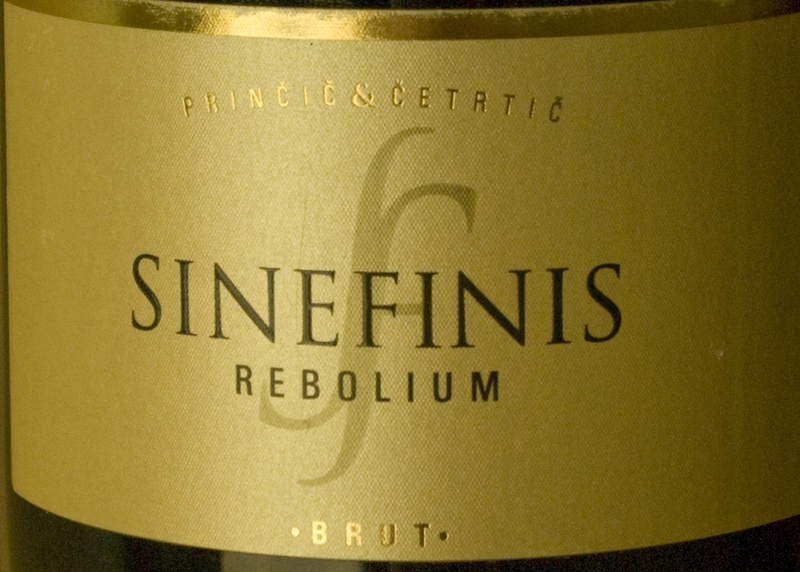 Finally, I want to let you know about a unique sparkling wine I have just tasted. 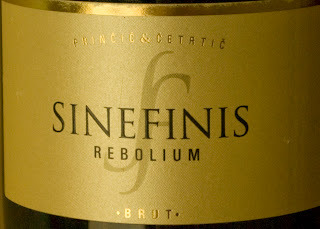 The wine is called Sinefinis, and it is a joint venture between Robert Princic, a wonderful producer in the town of San Floriano del Collio in Friuli and his friend, Matjaza Certica, a producer in nearby Slovenia (San Floriano is in the eastern part of Collio that borders with Slovenia). This is not imported into the US at the present, so you'll have to travel to Collio or Slovenia to find a bottle. That's worth the trip, if you ask me!